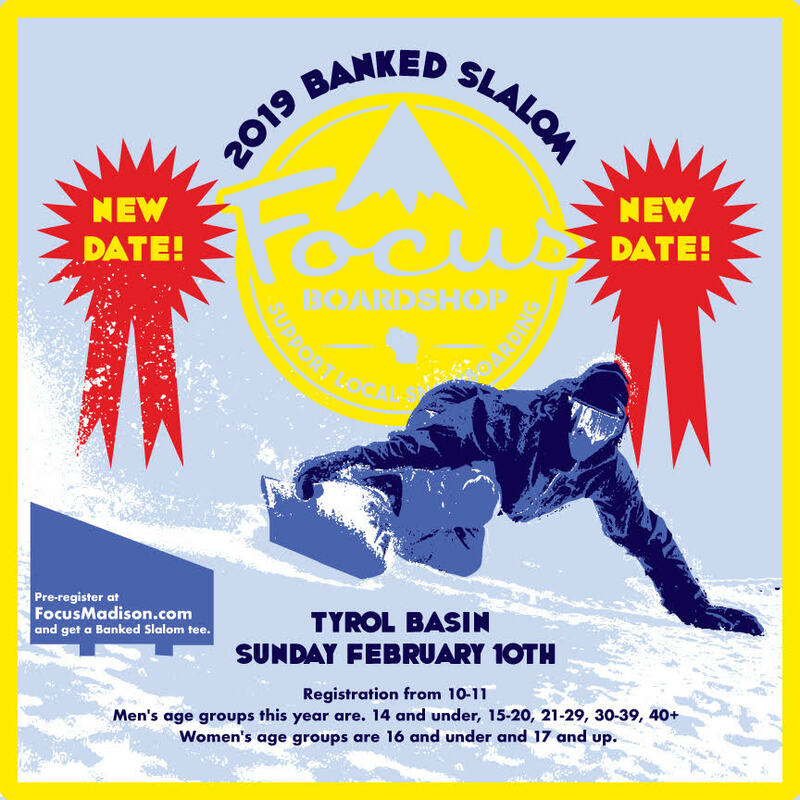 11th Annual Focus Banked Slalom @ Tyrol Basin! This event pulls in riders from all over the midwest and even some pros. Get your wax out because a years worth of bragging rights are on the line! Register early at https://www.focusmadison.com/pages/events to get a free t-shirt from Focus Boardshop.